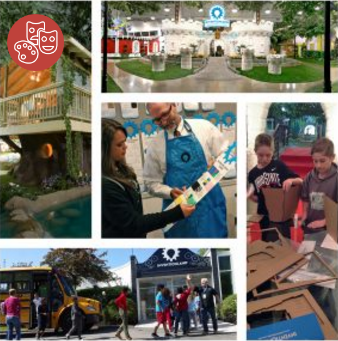 Inventionland and our Innovation Course will be on display during Remake Learning Days next month! Students and families will tour Inventionland during one of three available time slots on Thursday, May 18. They will take in the unique facility and watch our Creationeers in action. We hope they find this inspiring because after the tour they will get to create on their own using one of our Maker Kits! The event is free to anyone who would like to attend, but you must register via the Eventbrite link on the Inventionland Remake Learning Page. 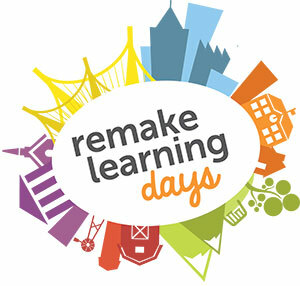 Remake Learning Days will showcase the innovative and effective ways of teaching and learning throughout our area from May 15-26 at various locations. The event is made possible through partnering organizations covering Pennsylvania and West Virginia. Inventionland is part of the “Maker” theme. Other themes include science, technology, youth voice, outdoor learning, and art. Inventionland takes immense pride in sponsoring an event that will impart the skills, knowledge, and confidence that students need to become the innovators of tomorrow. The Inventionland Innovation Course is our way of contributing to Remake Learning. The Remake Learning Network creates hands-on activities for children and their families that will help prepare them for the future by utilizing relevant and engaging educational experiences. Frazier Middle School will be hosting an event, where they will showcase the Inventionland Curriculum and show the product materials of the curriculum, allowing students to create their own product prototype. Bethlehem Middle School will also be hosting an event where they will showcase projects their students made by following the Inventionland Curriculum. Burgettstown Middle School will be hosting an event where attendees will be able to tour their Inventionland Makerspace as well as preview their “Inventors Gallery” and see projects students have made by following the course. We welcome anyone who wants to attend and we hope to see you soon!